This is a 14 year old Bradford White water heater that is installed just outside of Johnson County in Stilwell, KS. The home had been previously piped in CPVC. The homeowner replaced the CPVC with PEX tubing before finishing his basement. The CPVC can become brittle over time and may snap off and cause flooding. You can see that the top of the water heater is swollen which is usually what Bradford White water heaters do. The homeowner also noted that the pressure seemed unusually high right when the water was first turned on. 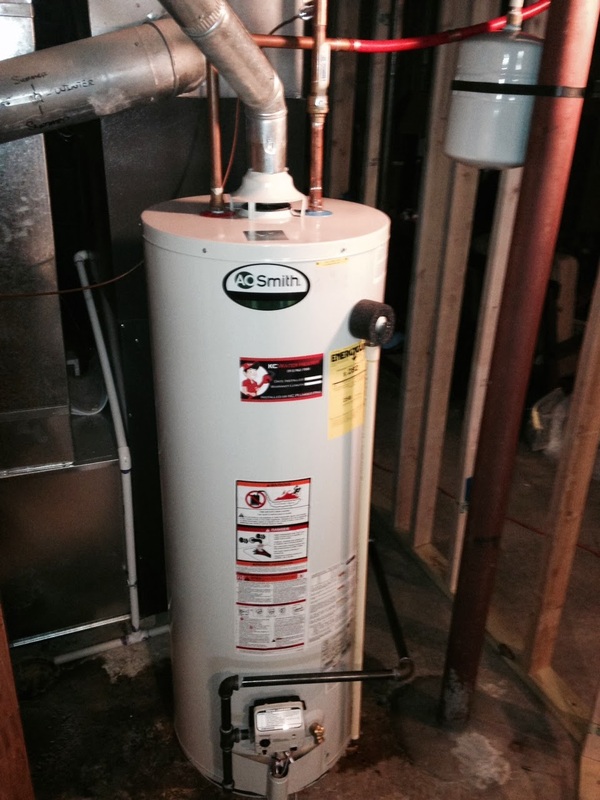 A thermal expansion tank was installed in order to make the new AO Smith water heater hold up a little better. There was a number of upgrades added to the new water heater installed. The first was to change the direction of the tank to make it serviceable since the basement was about to be finished. The next upgrade was to remove the existing saddle valve that had been installed by an HVAC contractor when putting the home humidifier. Here is a picture of a saddle valve that we removed that had become completely clogged with sediment. The other upgrade that I was actually really surprised about was the drip leg for the gas line. 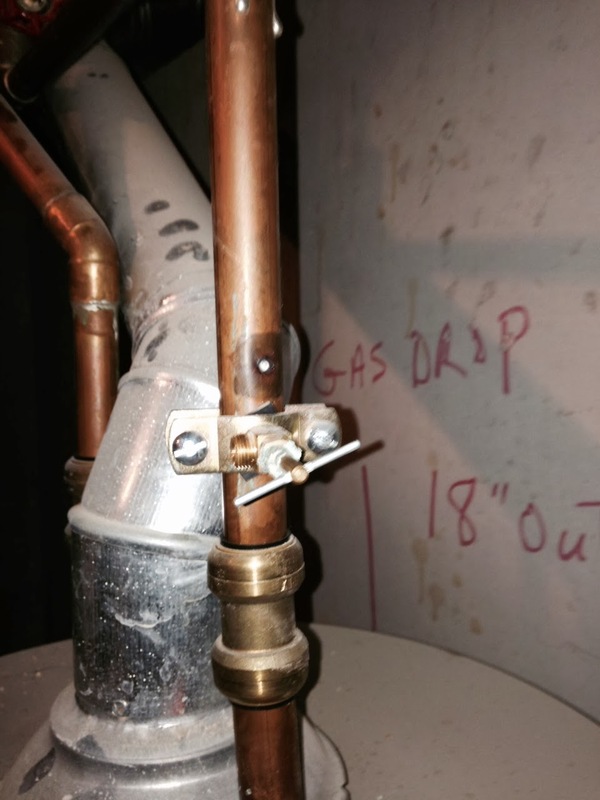 A drip leg is the extension of the gas line beyond the height of the water heater inlet. The gas line should be fed from the top and feed into the water heater from the side of the gas line which should extend another 6" past the t in order to prevent condensation from feeding into the appliance.